It feels as though Fall has officially arrived and this Baked Pumpkin Donut Recipe was a hit for breakfast this week at our house. 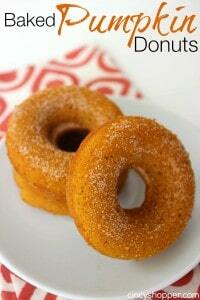 Donuts are a perfect on the go breakfast for the kiddos and also for the hubby and I. Back to school mornings can be so hectic. This week I decided to make up a batch of yummy Pumpkin Donuts and this recipe was quite yummy. The kiddos enjoyed them on their way to school. The hubby and I enjoyed them with our coffee and blog work. 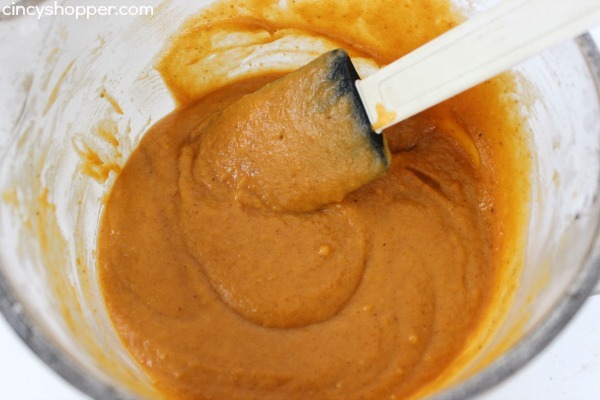 Absolutely delish pumpkin and cinnamon flavors for fall. 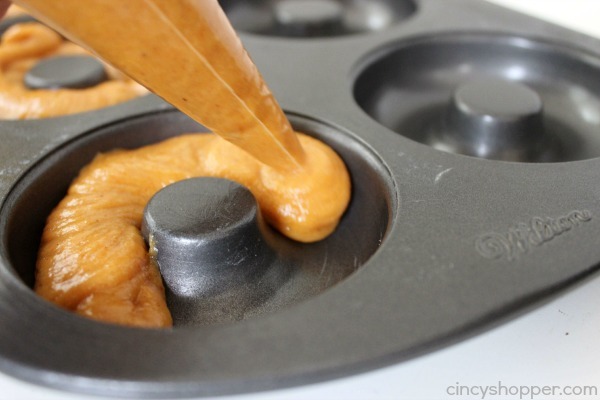 This Baked Pumpkin Donut Recipe is so simple. Almost as simple as the Funfetti Donut Recipe I shared with you. I tend to keep quite a bit of pumpkin stock in my pantry when fall hits. When I have the pumpkin craving I can just whip up a quick dessert. 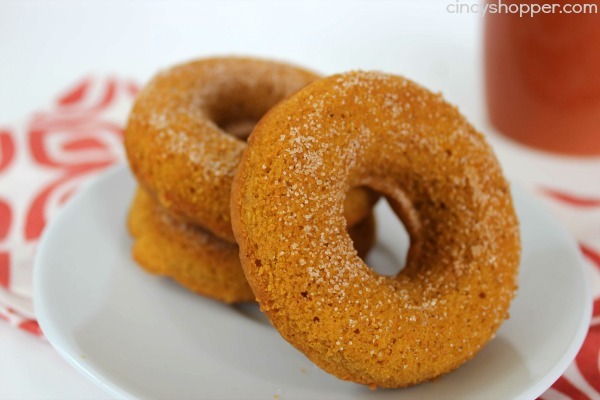 I LOVE fried donuts but these baked pumpkin donuts are simple and healthy too! 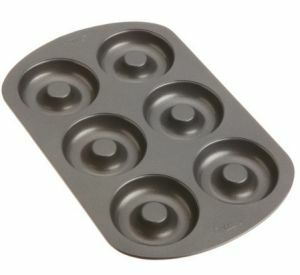 Bake the donuts for 18 minutes or until a toothpick inserted into the center comes out clean. I’ve never made donuts before, but these were so easy and delicious! I was afraid they would be dry without a frosting or filling, but they came out so moist and full of flavor. My hubby kept begging me to make more. Wonderful recipe! These look great! 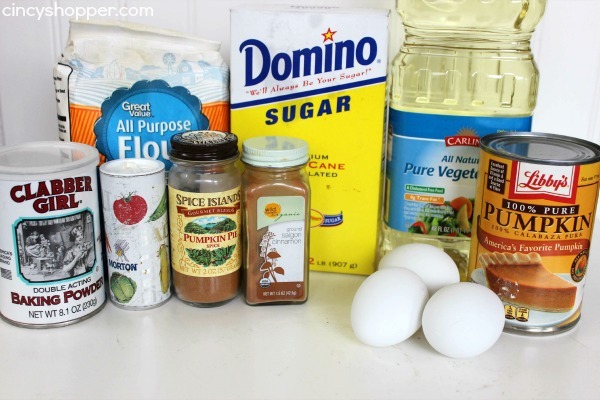 I’m curious how many donuts are in a batch/how many donuts this recipe makes. These look so good and I can’t wait to try the recipe! Can you tell me how many donuts one recipe makes? A dozen? Yum! These look so great. Thanks for sharing.